FORMER prisoners are being let down by a failure to fully implement the Good Friday Agreement, according to a new report. At the recent launch of the ‘Survey of Conflict-Related Prisoners’ Experiences’ at NICVA in Duncairn Gardens, Professor Peter Shirlow from Queen’s University Belfast said that issues affecting ex-prisoners’ welfare are not being fully addressed because of punitive legislation. And he claimed the problem will only get worse with the proposed closure of support organisations like Tar Isteach due to a funding crisis caused by government cutbacks. The audience heard how ex-prisoners are still being turned down for work because of their time spent behind bars, even though they fully support the peace process. Professor Shirlow said the Good Friday Agreement was failing ex-combatants in this respect and creating a legacy that was affecting not only the prisoners, but also their families. Prof Shirlow said high levels of mental health problems such as depression couldn’t be addressed because healthcare professionals are obliged to report any crimes to the PSNI. Michael Culbert, Chairman of ex-prisoners support group Coiste, said companies are legally entitled to discriminate against ex-combatants. 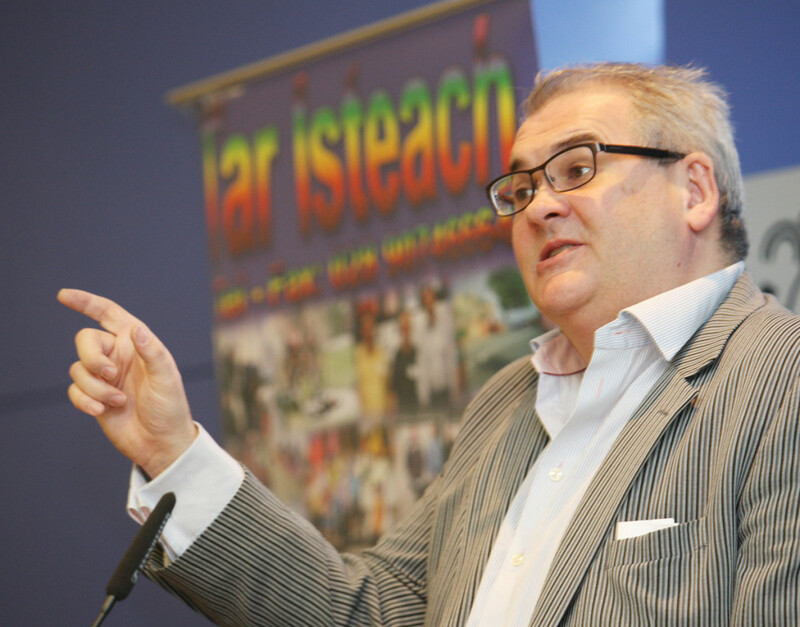 Tar Isteach Chairman Paul O’Neill said the loss of the organisation would be keenly felt.